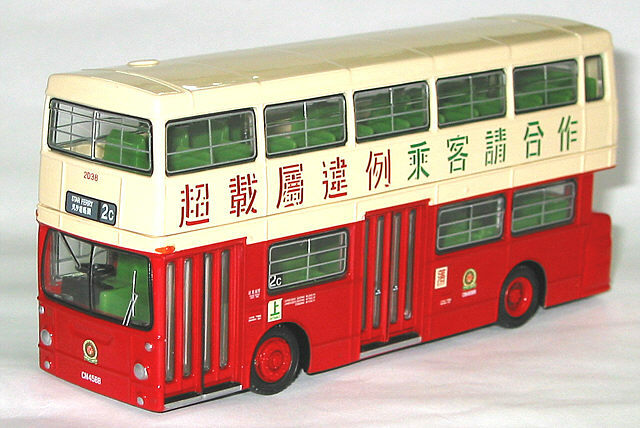 The model - first announced in April 2005 as being an EFE model, this ex-London Transport Daimler Fleetline model was released in Hong Kong on 28th May, but as a Drumwell model! 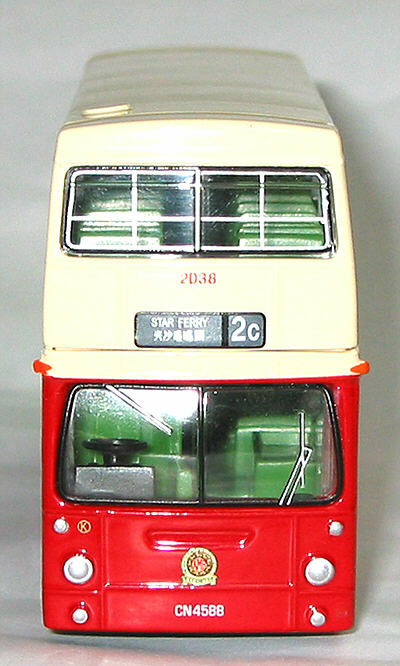 It carries the livery applied when the vehicle first entered service. 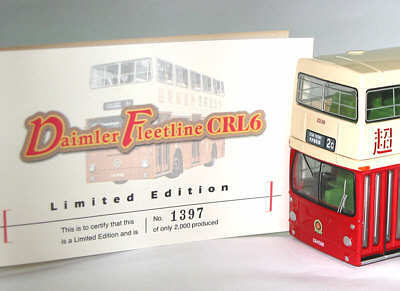 The model was subsequently offered to EFE Members, featuring in their 5th Mailing of 2005, received in early July. The models were dispatched later that month. EFE have allocated a product no. of 29102. The bus - Kowloon Motor Bus purchased 100 former London Transport Daimler Fleetlines in 1981. 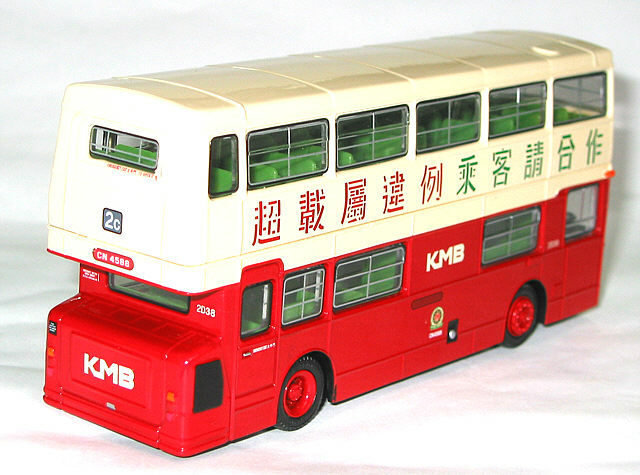 Unlike China Motor Bus, KMB specified a requirement for Leyland 0.680 engines. 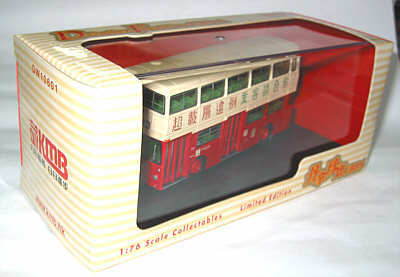 2D38, formerly DMS1595 (Reg. 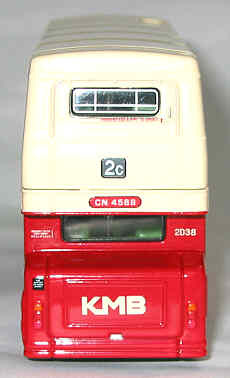 THM 595M) was new to London Transport in 1974 and entered service with KMB in April 1981. Its service life was short lived, being withdrawn in July 1985 when it became a driver training bus. It was eventually scrapped in 1990.